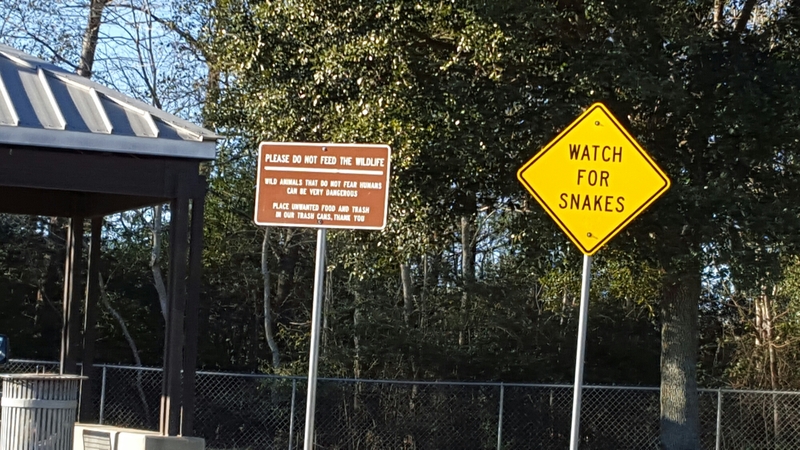 Really, the sign says it all. 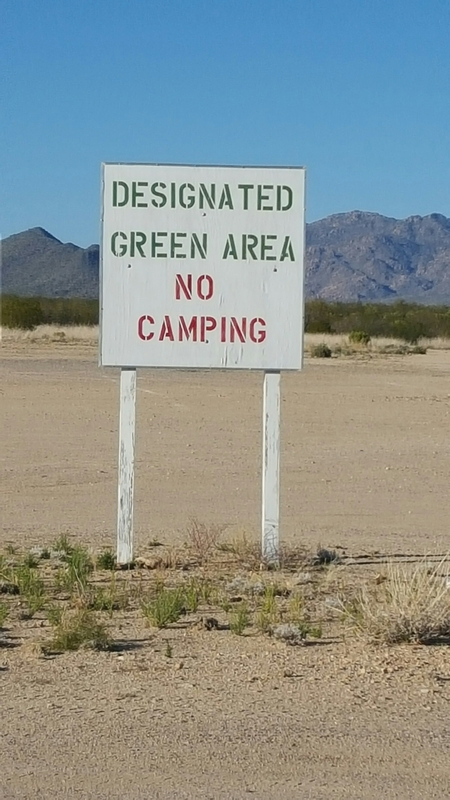 This lovely “Green Area” is not a joke, according to the manager of the Escapees North Ranch campground near Congress, Arizona. They’re one serious bunch here. I’ve been here one whole day, and already I’m champing at the bit to leave. For one thing, it’s hotter than hell. I’m very heat intolerant. Heat literally makes me sick. Atina, too. She demanded a walk at 2 p.m., and got diarrhea, which is a predictable consequence of heat stress. We’re not going out again till after the sun goes down. At least it does cool off rapidly, and even gets chilly enough for a sweatshirt at night. The people here are unfriendly and unhelpful and even belligerent. Very odd, since most travelers are very supportive of one another and eager to help. I discovered this when I was forced to ask someone for help opening a water faucet at my campsite. I am wearing a brace on my left hand, since I broke my wrist two days ago tripping over a log in the dark. 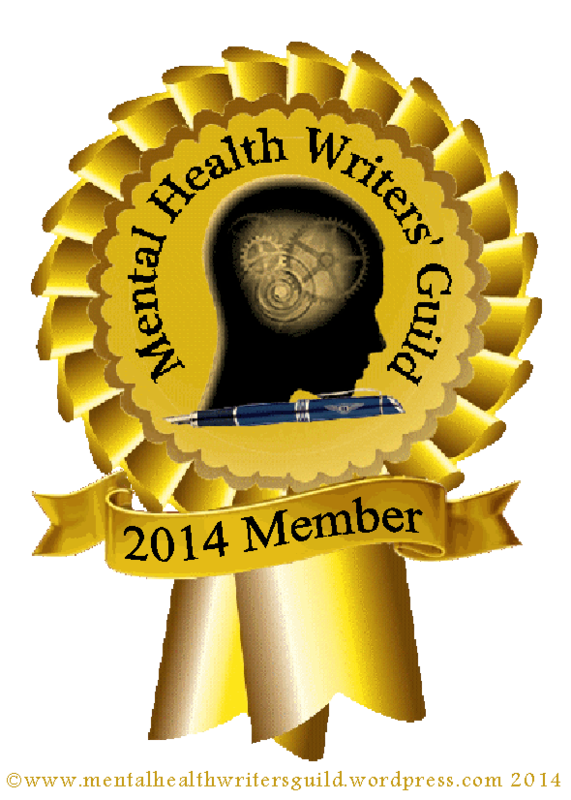 Even so, all the help I got was the loan of a wrench. I’m looking for a place in New Mexico to wait for spring to spring in Colorado, where it is still colder than hell. 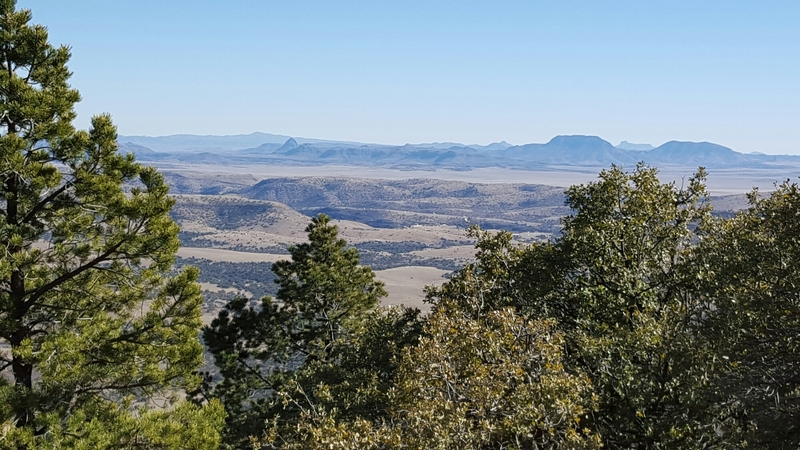 I camped at a really nice place near Silver City, NM last week. I might go back there. It’s inexpensive, the owner is nice, and the washing machine is free. The shower is even decent, a big plus. This was taken from the Mc Donald Observatory in Southwest Texas. I was surprised to find that West Texas looks just like the country you see in cowboy movies. This is a hundred or so miles north of Mexico, officially part of the Sonoran Desert. It’s a beautiful place. The people are friendly, and I saw several Roadrunners (meep, meep), but Wiley Coyote was heard but not seen! Bugs Bunny did make a guest appearance, but he scrammed when he got a load of Miss Malligator (Atina).